Welcome to Part 3 of this A to Z of Inspirational People. If you missed Part 1 including; Albert Einstein, Bill Gates, Charles Darwin, David Attenborough and Guy Kawasaki, please click here. If you missed Part 2 including; Hilary Clinton, J.K. Rowling, Kelly Holmes, Jeff Bezos and Larry Page, please click here. 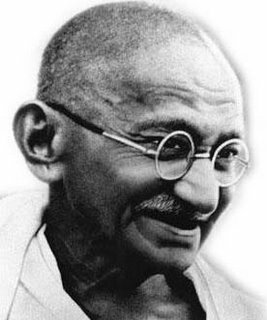 Mohandas Gandhi (1869 – 1948k) – Known as ‘Mahatma’ (great soul), Gandhi was the leader of the Indian nationalist movement against British rule, and is widely considered the father of his country. His doctrine of non-violent protest to achieve political and social progress has been hugely influential. He studied law in London, England, but in 1893 went to South Africa, where he spent 20 years opposing discriminatory legislation against Indians. As a pioneer of Satyagraha, or resistance through mass non-violent civil disobedience, he became one of the major political and spiritual leaders of his time. In 1914, Gandhi returned to India, where he supported the Home Rule movement, and became leader of the Indian National Congress, advocating a policy of non-violent non-co-operation to achieve independence. His goal was to help poor farmers and laborers protest oppressive taxation and discrimination. He struggled to alleviate poverty, liberate women and put an end to caste discrimination, with the ultimate objective being self-rule for India. Following his civil disobedience campaign, he was jailed for conspiracy for 6 years. In 1930, he led a landmark 320 km/200 mi march to the sea to collect salt in symbolic defiance of the government monopoly. In 1946, he negotiated with the Cabinet Mission which recommended the new constitutional structure. After independence (1947), he tried to stop the Hindu-Muslim conflict in Bengal, a policy which led to his assassination in Delhi by Nathuram Godse, a Hindu fanatic. Gandhi was a true leader who inspired millions with his vision, his charisma and his beliefs. Mother Teresa was born, 1910, in Skopje, capital of the Republic of Macedonia. Little is known about her early life, but at a young age she felt a calling to be a nun and serve through helping the poor. At the age of 18 she was given permission to join a group of nuns in Ireland. After a few months of training, with the Sisters of Loreto, she was then given permission to travel to India. She took her formal religious vows in 1931, and chose to be named after St Therese of Lisieux – the patron saint of missionaries. On her arrival in India, she began by working as a teacher, however the widespread poverty of Calcutta made a deep impression on her; and this led to her starting a new order called “The Missionaries of Charity”. The primary objective of this mission was to look after people, who nobody else was prepared to look after. For many years, Mother Teresa and a small band of fellow nuns survived on minimal income and food, often having to beg for funds. But, slowly her efforts with the poorest were noted and appreciated by the local community and Indian politicians. In 1952, she opened her first home for the dying, which allowed people to die with dignity. Mother Teresa often spent time with those who were dying. Some have criticised the lack of proper medical attention, and refusal to give painkillers. But, others say that it afforded many neglected people the opportunity to die knowing someone cared. Over time the work grew. Missions were started overseas, and by 2013, there are 700 missions operating in over 130 countries. The scope of their work also expanded to include orphanages, and hospices for those with terminal illness. Following Mother Teresa’s death, 1997, the Vatican began the process of beatification, which is the second step on the way to canonisation and sainthood. Mother Teresa was formally beatified in October 2003 by Pope John Paul II and is now known as Blessed Teresa of Calcutta. An inspiring woman who gave selflessly all her life. Muhammad Ali is one of the most famous boxers of all time. From the very beginning, he took his training seriously. He trained six days a week. On schooldays, he woke early in the morning so that he could go running and then would go workout at the gym in the evening. When the local gym closed at 8 pm, Ali would then go train at another boxing gym. Concerned about what he put in his body, Ali stayed away from junk food, alcohol, and cigarettes so that he could be the best boxer in the world. His conversion to Islam and draft evasion conviction surrounded him with controversy and even exile from boxing for three years. Despite the hiatus, his quick reflexes and strong punches helped Muhammad Ali become the first person in history to win the heavyweight champion title three times. At the lighting ceremony at the 1996 Olympics, Muhammad Ali showed the world his strength and determination in dealing with the debilitating effects of Parkinson’s syndrome. Despite the progression of his disease, Ali remains active in public life. He embodies the true meaning of a champion with his tireless dedication to the causes he believes in. He was on hand to celebrate the inauguration of the first African-American president in January 2009 when Barack Obama was sworn-in, something he thought he would never see. Martin Luther King Jr was one of America’s most influential civil rights activists. His passionate, but non-violent protests, helped to raise awareness of racial inequalities in America, leading to significant political change. Martin Luther King was also an eloquent orator who captured the imagination and hearts of people, whatever their colour or religion. This immortal speech is still quoted verbatim today, taught in schools and inspires people young and old, from all over the world to believe in dreams. I’ve even tailored it and used it for some of my projects! You can watch a video of the full speech here. Nelson Mandela was born in 1918, in South Africa. Becoming actively involved in the anti-apartheid movement in his 20s, Mandela joined the African National Congress in 1942. For 20 years, he directed a campaign of peaceful, non-violent defiance against the South African government and its racist policies. In 1961, Mandela, who was formerly committed to nonviolent protest, began to believe that armed struggle was the only way to achieve change and subsequently co-founded an armed offshoot of the ANC dedicated to sabotage and guerrilla war tactics to end apartheid. In 1961, Mandela orchestrated a three-day national workers’ strike and was arrested for leading the strike the following year and sentenced to five years in prison. Then, in 1963, he was brought to trial again. This time, he and 10 other ANC leaders were sentenced to life imprisonment for political offenses, including sabotage. Nelson Mandela spent 27 years in prison. During this time, he contracted tuberculosis and, as a black political prisoner, received the lowest level of treatment from prison workers. 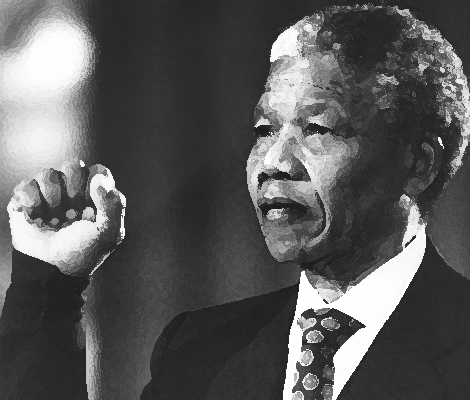 However, while incarcerated, Mandela was able to earn a Bachelor of Law degree through a University of London correspondence program. In 1991, Mandela was elected president of the African National Congress, with lifelong friend and colleague Oliver Tambo serving as national chairperson. Mandela continued to negotiate with President F.W. de Klerk toward the country’s first multiracial elections. White South Africans were willing to share power, but many black South Africans wanted a complete transfer of power. Mandela had to keep a delicate balance of political pressure and intense negotiations amid the demonstrations and armed resistance. As I write this post, Mandela lays in a hospital bed in a serious condition, with his 95th birthday a month away. I wasn’t alive when Neil Armstrong took his first step onto the surface of the moon in July 1969, but I have read about the Mercury, Gemini and Apollo Space programs and visited the Kennedy Space Center in Florida, USA. That ‘one step for man’ represented the work of over 400,000 people, over a decade, spending in excess of $100bn to get there…and more importantly back. It is famously said that in 1969, during one of the press briefings in the NASA command centre in Houston, Texas, the reporters were waiting for the NASA officials when they noticed a janitor with a broom. A reporter asked the janitor what his job at NASA was. The janitor replied – “I help put a man on the moon”. In fact, it was President Kennedy, who set the goal of “landing a man on the moon and returning him safely to the earth” by the end of 1960s, in his address to the joint sessions of congress in May 25th, 1961. “In a very real sense, it will not be one man going to the moon – if we make this judgement affirmatively, it will be an entire nation. For all of us must work to put him there,” Kennedy said. The power of 400,000 allowed Neil Armstrong to be the first man on the moon. That’s inspirational! An early proponent of positive thinking, Napoleon Hill was a bestselling author, an advisor to presidents, a motivational speaker and, to this day, an inspiration to millions. Andrew Carnegie inspired Hill’s life work by challenging him to write up a formula for personal success based on interviews with some of the great innovators of the time; not only himself but also Thomas Edison, Henry Ford, Alexander Graham Bell, and President Franklin Delano Roosevelt, whom he advised from 1933 to 1936. Through a positive mental attitude and a burning desire that his child hear, Hill set about helping Blair, who himself never doubted that he would hear and speak. Eventually, having acquired limited hearing with the help of a phonograph, his family’s persistence and compassionate teachers, Blair found an electronic device that allowed him to hear—and decided to make it his life’s work to help other deaf people. In 1937, Hill published his most famous work, Think and Grow Rich, which remains one of the leading books on personal motivation and self-help to this day, and if you haven’t read it, do so! Hill continued publishing books for the next three decades until his death at age 87 in 1970. He also shared his philosophies as a teacher, lecturer and motivational speaker. A true inspiration to many millions of us around the world. Oprah Winfrey is a self-made CEO worth about $2.7 billion. By most accounts, she’s the greatest black philanthropist in American history and the most influential woman in the world. Sexually abused at 9; Ran away from home at 13; pregnant at 14 and son subsequently died shortly after birth; Beauty queen at 17; abused drugs in her 20s; first black American woman on National T.V in America and Millionaire at 32. In 1984 she got her dream job: hosting a show called ‘AM Chicago’. Under her watch, it went from last to first in the ratings. 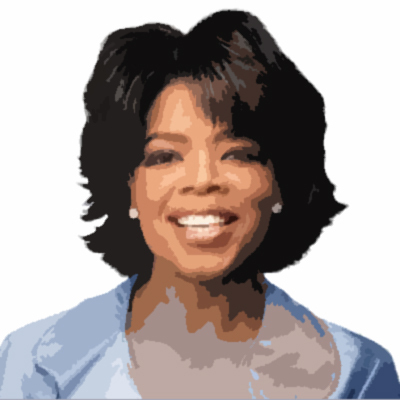 Two years later, the program was being syndicated nationally as ‘The Oprah Winfrey Show’. That’s when Oprah made the decision that transformed her from an entertainer to an entrepreneur with a salary of $290 million a year. Today Winfrey is “arguably the world’s most powerful woman” by CNN and Time.com, “arguably the most influential woman in the world” by the American Spectator, “one of the 100 people who most influenced the 20th Century” and “one of the most influential people” of 2004 – 2011 by Time. Pablo Picasso (1881 – 1973) is one of the most well-known and prolific artists of all time, painting over 20,000 pieces in his lifetime. Starting from a young age he always had immense artistic talent, so much so that his father, also an artist, put down his paintbrush and declared he’d never paint again. Picasso is probably most famous for co-founding the Cubist movement with Georges Braque, but the great thing about Picasso is that within his immense body of work, he developed so many different painting styles while still keeping his own distinctive voice – you know a Picasso when you see one. I don’t think it’s because I’m British that I am inspired by Queen Elizabeth II. I’m pretty sure that if I was American, Indian, Canadian, Australian or from the Phillipines, I would have the same view. Throughout numerous periods of great change in Britain and the World, the Queen successfully carried her political duties as head of state, her role as head of the Commonwealth, the ceremonial responsibilities of the sovereign and a large annual programme of visits in the UK, as well as many foreign tours. The Queen also introduced numerous reforms to the monarchy. In 1992, she offered to start paying income and capital gains tax. She opened her official residencies to the public – including Buckingham Palace and Windsor Castle – in order to finance their maintenance. She supported ending the rule of male primogeniture, which now means the eldest child can succeed to the throne, regardless of gender. She also supported lifting the ban on anyone in the line of succession marrying a Catholic. The Queen introduced more informal engagements and visits, and the ‘walkabout’ – the meeting and greeting of large numbers of the public. Whilst I haven’t met the Queen, I was privileged to be invited to one of her garden parties at Buckingham Palace a few years ago, and I’m amazed at her poise, her ability to talk to anyone and to put them at ease. She has faced some tough times and probably made a couple of wrong turns along the way, but who hasn’t? I’m inspired that after over 60 years of rule and at an age of 87 at the time of writing, she continues to perform her duties and stated anew in 2012 that she would dedicate herself anew to the service of the UK and the Commonwealth. I hadn’t heard of Randy Pausch until last year, when I read the book – The Last Lecture, and subsequently watched the lecture itself on YouTube. Randy Pausch was a professor of Computer Science, Human Computer Interaction, and Design at Carnegie Mellon University. From 1988 to 1997, he taught at the University of Virginia. He was an award-winning teacher and researcher, and worked with Adobe, Google, Electronic Arts (EA), and Walt Disney Imagineering, and pioneered the non-profit Alice project. (Alice is an innovative 3-D environment that teaches programming to young people via storytelling and interactive game-playing.) He also co-founded The Entertainment Technology Center at Carnegie Mellon with Don Marinelli. In September 2007, he stepped in front of an audience of 400 people at Carnegie Mellon University to deliver a last lecture called “Really Achieving Your Childhood Dreams.” With slides of his CT scans beaming out to the audience, Randy told his audience about the cancer that is devouring his pancreas and that will claim his life in a matter of months. On the stage that day, Randy was youthful, energetic, handsome, often cheerfully, darkly funny. He seemed invincible. But this was a brief moment, as he himself acknowledged. My one claim to fame is that I’m actually distantly related to this person. He was my great grandfather’s cousin. 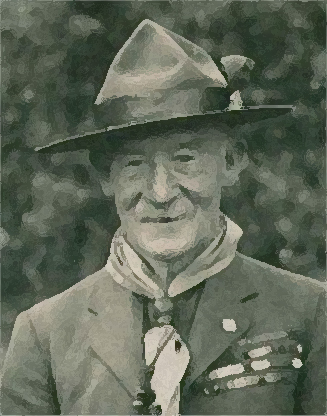 Lord Robert Baden-Powell (1857-1941) was a decorated soldier, talented artist, actor and free-thinker. Best known during his military career for his spirited defence of the small South African township of Mafeking during the Boer War, he is more famous across the globe today founding the Scouting Movement. For generations of young men and women, scouting and the girl guides has had a profoundly positive impact on their lives, mine included – teaching skills such as map-reading, mountain climbing, camping, cooking, survival skills, leadership, humility and friendship. Scouting has had a ‘profile’ problem for a while, but Bear Grylls, the current Chief Scout, is doing a pretty good job of turning that around – with TV audiences of 1.6bn people globally watching his expedition exploits. ‘Happiness doesn’t come from being rich, nor merely from being successful in your career, nor by self-indulgence. One step towards happiness is to make yourself healthy and strong while you are a boy, so that you can be useful and so you can enjoy life when you are a man. You may be surprised to hear that there are at least 12 people on this list that were scouts or girl guides, namely:- Anita Roddick, Queen Elizabeth II, Kelly Holmes, J.K Rowling, Mohammed Ali, David Attenborough, Richard Branson, Ben Saunders, Neil Armstrong, John F Kennedy, David Beckham and Bill Gates. Sir Roger Bannister, CBE (born in 1929) is an English former athlete best known for running the first mile in less than 4 minutes. In the 1952 Olympics in Helsinki, Bannister set a British record in the 1500 metres, but did not win the medal he expected. This humiliation strengthened his resolve to be the first 4-minute miler. This was finally achieved on May 6th 1954 at Iffley Road Track in Oxford, with Chris Chataway and Chris Brasher providing the pacing. When the announcer declared “The time was three…”, the cheers of the crowd drowned-out the details of the result, which was 3 min 59.4 sec. Bannister’s record only lasted 46 days. More notable was that he had reached this goal with so little training, while practising as a junior doctor. Bannister went on to become a distinguished neurologist and Master of Pembroke College, Oxford, before retiring in 1993. When asked whether the 4-minute mile was his proudest achievement, he said he felt prouder of his contribution to academic medicine through research into the responses of the nervous system. What inspires me about Roger Bannister is his belief. The belief, despite the common ‘truth’ that it wasn’t humanly possible to do a 4 minute mile, that he would be the man to do it. Once he showed the world that it was possible, many more people broke the barrier. Since 1954 the mile record has been lowered by 17 seconds and even beaten by people in their 40’s. Hope for me yet! Richard Branson is no ordinary person. Whether you are starting out as an entrepreneur or you are a seasoned business person like Larry Page founder of Google, Branson has something to offer for everyone. Figurehead of 150 or so enterprises that carry the Virgin name, with a personal wealth estimated at nearly $3 billion and his own island, he has followed a personal dream of making the most of his life. He still holds the record as fastest to cross the Atlantic ocean by boat. He still hopes to be first to circle the globe in a balloon. He has no giant corporate office or staff and few if any board meetings. Instead, he keeps each enterprise small and relies on his magic touch of empowering people’s ideas to fuel success. When a flight attendant approached him with her vision of a wedding business, Richard told her to go do it. He even put on a wedding dress himself to help launch the publicity! “It all comes down to people,” he remarks in an interview with David Sheff of Forbes. “Nothing else even comes close.” He writes to them all, all 5,000 Virgin employees, a chatty letter once a month from his paper notebook, and invites them to write to him or call him with their problems, ideas and dreams. They do…and new Virgin successes are born. I hope you enjoyed part 3 of this A to Z. Part 4 – the final post, coming soon! I especially like the Ghandi quotes.